It was the biggest crowd yet for the annual Ōtaki River Walkover, with nearly 200 people bussed along the river road in four buses and several joining the tour at Chrystalls Bend. Once on board the first stop was the Waitohu Valley Road bridge to view the post June floods clean-up of debris and clearing the stream channels. Ringawhati Road bridge was observed, it had fared badly too, with the northern abutment washed out. This was followed by a trip to the upper Rahui Road and through to the top of the Haul Road at the east end of Carl Lutz’s farm. Following very heavy rain overnight, the river was running high and very muddy. At the Harper’s stopbank and the fairway corridor, east of Chrystall’s Lagoon the river corridor is 250 metres wide and has 80 metre buffer zones each side. Ground erosion in this area has been a problem. The Ōtaki Flood Management depot guys have been busy removing or topping the oldest willows allowing for rejuvenation. Over the winter they have planted 14,000 willow stakes where some of upper reaches have been cleared. These are all budding now. Repairs after the June floods, when 1,000 tonnes of rock was lost downstream, will include cutting a new channel to “force” the flow away from the southbank and Harper’s stopbank of which only half now remains. “This was an eight year return flood, with the gorge flood gauge reading seven metres above normal,” Mr Campbell told those on the tour. Protection work on the upper Rahui is primarily vegetation, while stopbanks, rock groynes and gravel extraction aim to keep the river towards the north banks. In many areas the native dotterels and pied stilts have returned to former nesting sites, these are being protected from river works. For most of the 200 people it was a short walk from the Waimanu Stream to Chrystall’s Lagoon and a welcome morning tea break. During morning tea, Max Lutz spoke of the education programme they have been doing with the schools. In June Ōtaki College students planted out the 1,000 trees they had potted last year thanks to funds from Westpac Bank. Te Horo School has received $5000 from the Philipp Family Foundation for the trees they’ll plant out next year and Winstone’s Aggregates had donated $5000 and will join in planting “their” section next year, too. Among works completed has been the “moving” of the Chrystall’s Bend river channel towards the south, deepening the channel, installing debris fences to help widen the banks and completing the Chrystall’s stopbank. The next stop was close to the Ashford Park southern boundary, where Winstone’s project manager, Dan McGregor, spoke of the proposed use and future of the park and Winstone’s quarry manager, Shane Hagai, outlined the work at the Ōtaki Lakes quarry between Stresscrete Concrete and Ashford Park. 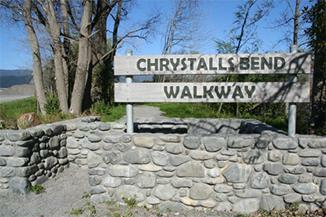 Gravel extraction has been increased to 130,000 tonnes per year to use on the McKays to Peka Peka expressway. They have brought in an extra drag line machine and a mobile screening plant to cope with the increased work. The dragline, which scoops gravel from the lake bed, is currently 13 metres deep. Out of work hours the lake is already used by the waka ama, surf club and canoe polo club for training purposes. Canoe polo also holds competitions on the lake. “We have the Peka Peka to Ōtaki section of the expressway scheduled to start late next year. This will be a three to four year project. Then it’ll be back to our normal little Ōtaki work!” Mr Hagai concluded with a laugh. 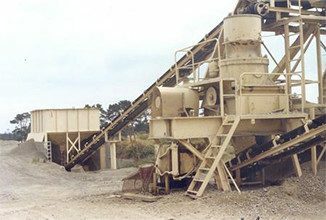 After travelling through the quarry area for a close up look at the dragline and screening operations, the next stop was where the expressway twin bridges will pass over the river and travel east of the Ōtaki Railway township. The detailed designs for the Te Horo overbridge, Ōtaki River and Rahui Road bridges should be available for final community consultation and approval before going out to tender. The extremely heavy rain the previous night, September 17, and the river running high, the haul road under the road and rail bridges was under water and impassable for the buses, which necessitated a drive across to busy highway to the Winston’s lookout, next to their main screening plant and the western highway to the beach stopbank and walkway. This end of the river is narrow and gravel extraction is important to prevent the riverbed from filling. Down river a bit further and a pause near the transmission line towers, and the information they are to be upgraded and strengthened as part of the general maintenance. Onwards to the lagoon and floodgates with just a pause to see some of the work through the windows. Long-time members and supporter of the Friends of the Ōtaki River, Carl Lutz and Margaret Bayston were among the 200 at morning tea during the annual Ōtaki River walkover. They are currently working with some of the landowners so they can complete this section of the stopbank. From there it was back to the depot for a light lunch for those able to stay and a chance to view FOTOR’s nursery and propagation work. Representatives of the Te Horo School Garden Club, Charlie Simpson, Matthew Bird and Nikita Allen. Representatives of the Te Horo School Garden Club, Charlie Simpson, Matthew Bird and Nikita Allen were at the Ōtaki River Walkover to collect a $5000 cheque from Ray Mackle trustee of the Philipp Family Foundation, to help with expenses for the trees they had potted up and later planted out along the Chrystalls Bend walkway. Charlie thanked the Philipp Family Foundation for their cheque. Friends of the Ōtaki River, Trevor Wylie secretary and Max Lutz chair receive a $5000 cheque from Winstone’s quarry manager, Shane Hagai and Dan McGregor project advisor. Mr Hagai also presented FOTOR members with 25 high viz vests “to remember the health and safety regulations!” he grinned. 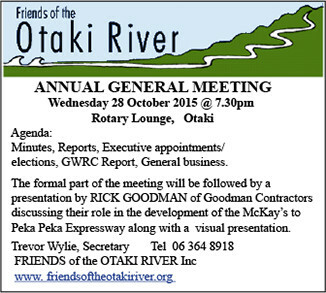 The annual walkover is part of the memorandum between Greater Wellington Regional Council and the Ōtaki Friends of the River.